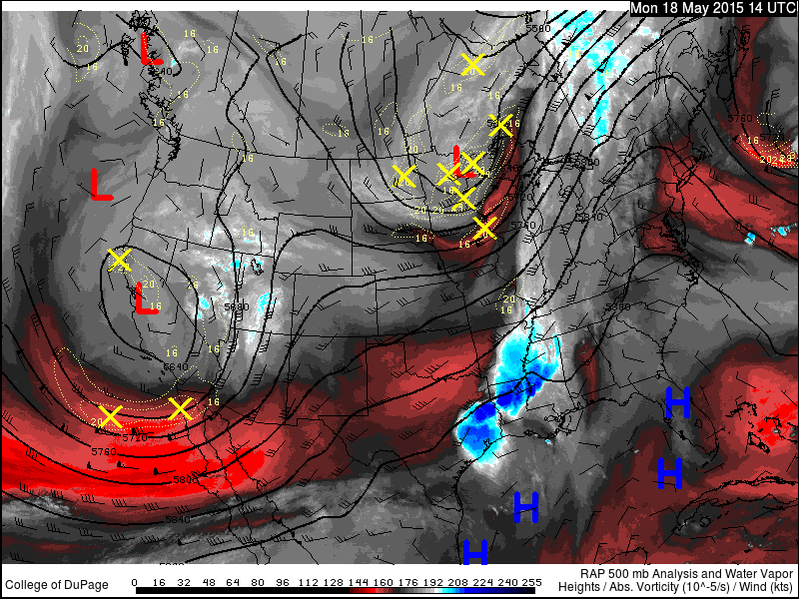 RAP 500 MB Analysis & Water Vapor Image. 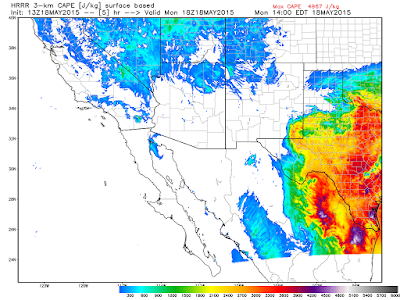 Valid @ 14Z/8 AM MDT This Morning. HRRR Surface Based Cape Forecast. 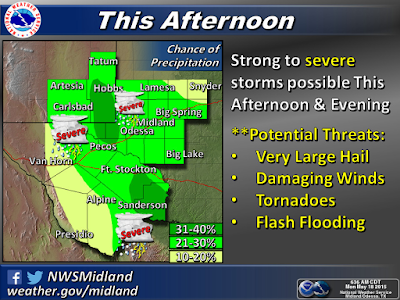 Valid @ Noon MDT Today. 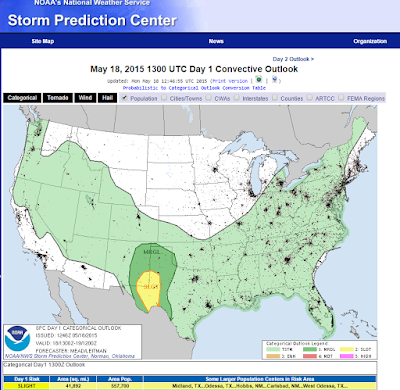 Courtesy Of The NWS Storm Prediction Center (SPC). 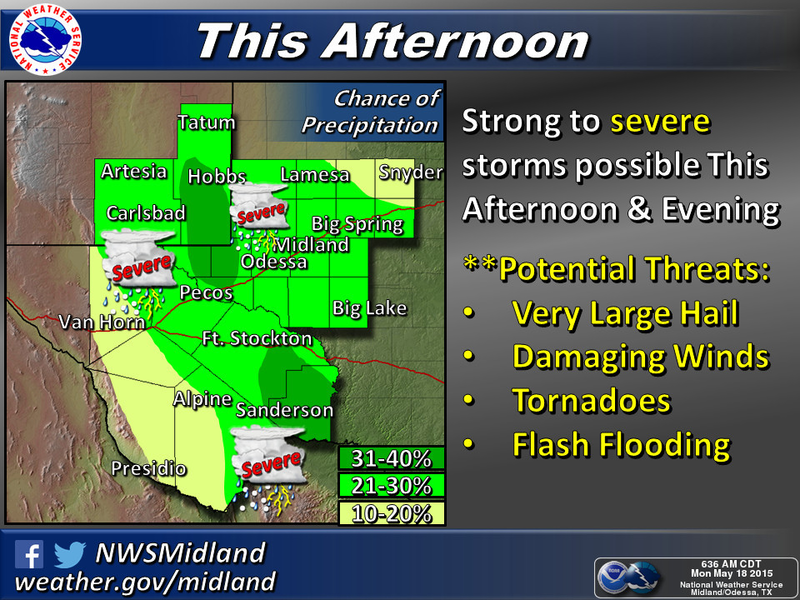 Mother Nature is on track to stir up trouble this afternoon and evening across southeastern New Mexico and parts of West Texas weather-wise. 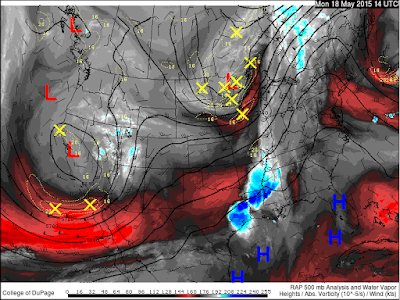 Low level southeasterly upslope flow from the Gulf of Mexico is returning to the area this morning. Meanwhile an upper level low located over central California will eject several disturbances that will cross overhead today into this evening. Add to this a very unstable airmass (surface based cape values in the 2500 - 3000 j/kg range), deep layer shear (40 knots) and good lift and afternoon heating...and boom severe thunderstorms will fire up today. 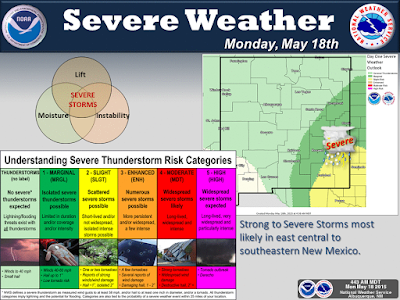 A few supercell thunderstorms will develop this afternoon and evening and will be capable of producing isolated tornadoes, large hail (1" in diameter/quarter size or larger), damaging thunderstorm wind gusts in excess of 58 mph, deadly cloud to ground lightning, locally heavy rainfall that may produce localized flash flooding. 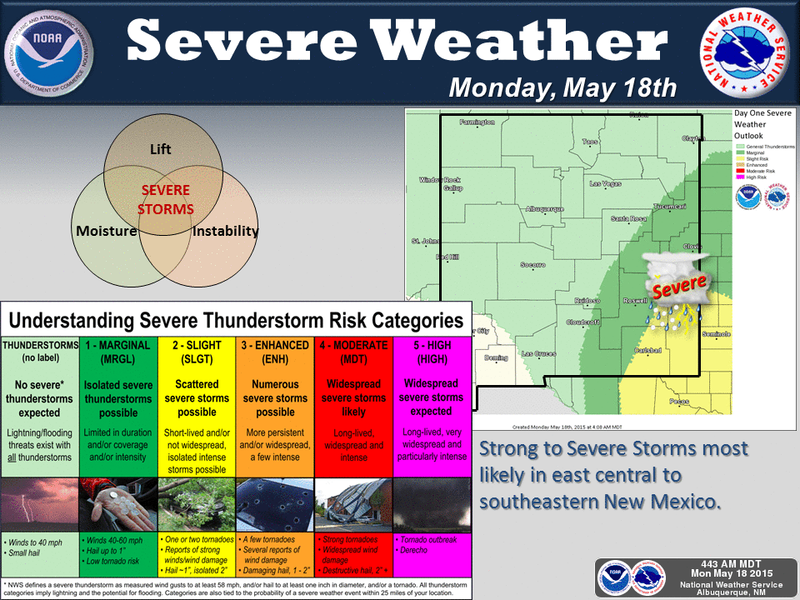 Since we are moving into the heart of our spring severe weather season (mid May through mid June) today will be one of those days to be on you toes and keep a close eye on the weather.